I graduated from Morgan County High School in Madison, Georgia …so it’s especially fun for me to revisit every chance I get! 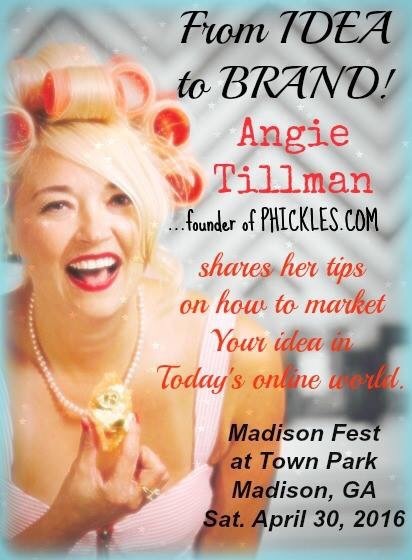 I’m looking forward to telling my story and sharing my tips for taking an idea and turning it into a brand. After my talk…I’ll have a tasting table with my pickled veggies and cheese spreads …available for purchase! See y’all in historical Madison, Ga at Madison Fest in Town Park!